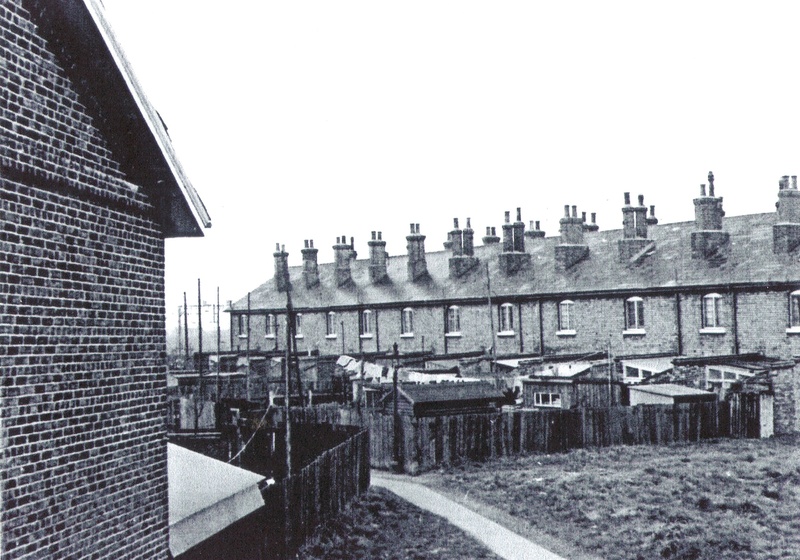 The railway cottages that stood close to the Tilbury Riverside, were a lot of dwellings surrounded by the rail lines into Tilbury Riverside station – the line to Fenchurch Street and the loop to Southend. They were alongside the main engine sheds which housed the steam locomotives which ran on the Southend line. It was said housewives had to be careful when they hung out their washing because bad timing would result in a line full of washing covered in soot. The cottages as they were called were built around the 1860s or after and demolished in the 1970s. Also as I understand it, Rod Downes lived in them when he was a boy. I lived at No 32 with my mum Margaret Brown and my dad Bill Brown, and my sisters Karen and Corrine. We were the last to live there before it was demolished. I remember Mandy from a few doors down ( must have been 26 reading the posts). I have pictures of us out at Coalhouse Fort. I remember the Ellingfords as we went on a picnic with them and did have a pic of it. I remember playing a lot in the ‘bombed buildings’. It is only as an adult that I realise just what they were! I remember someone babysitting me from the other row and going out late at night and a bat got stuck in my hair! I bet that was the last time they babysat lol. To Audrey Richards, nee Carter’s comment dated 23/10/2014, my uncle was Eddie Taylor the local footballer who you mentioned. My mum was his sister, Carol. They also had a brother Ian, who now lives in Canada. I remember my mum saying she lived in the Railway Cottages, not the terreace of them in Tilbury, but where there were only 2 or 3 cottages. Can you tell me where exactly they were as I believe they were closer to Little Thurrock than Tilbury. Is this correct? Rose and Pete Webb were my neighbours in Ellerman Road. They were like second parents to me. They took me to all their family parties etc. I am best friends with their daughter Jeannie. Cliff, I can’t believe I hadn’t replied to your post from last October, great memories of that holiday in Lloret with John and yes, his parents and older brother being up the coast in the next resort, only forty six years ago, but seems like yesterday. I’m on facebok also (who isn’t these days!) I had a great 23 years at Grays in the Fire Service and nice to be retired, hope your son is enjoying it, Basildon was always a busy station. Regards, Mark. Thanks for your reply Percy. I never knew a Percy Dalton, I do remember Alan, who was friends with my brother Robert. About the cottages again. I remember Mrs. Harman lived at number 11 before the Jelly`s. She used to make us kids some lovely cakes. I believe she was a bit backward. Also I remember an Edie who was a friend or relative who lived with the Jelly`s. I wonder if it was her who then took over number 8. Also the Gregory`s daughter Josephine at no. 26, was known as Toddles. Another memory, the Challis`s at no. 25, Mr. Challis was into electrics, and us kids often found old bits of electrical stuff he had thrown on the rubbish tip. Hey Ho. anyone else remember things???? Rod they were my mistakes not Clifford White’s, now you’ve sorted out the order for Nos. 22 to 25 it suddenly becomes very clear again. Now you mention the Clarkes at 32 I vaguely remember Nobby Clarke and his family living there before the Barends. Can you remember the Christian name of the third Beck girl? Regarding the “car in the front room” that was at No. 30 the Gunner’s and it was the eldest son Ernie that built it in the room and had to dismantle it again to remove it! In reply to Clifford White`s list of people of the cottages:- Here are a few corrections:- No. 22 The Becks / No. 23 The Newports (my mate Dave lived there, sadly no longer with us) / No. 24 Ellingfords / No. 25 The challis`s no. 32 The Clarkes. / Incidently, does anybody remember the car that used to be in the front room of number 30, 29, or 28. Us kids used to look through the window and wonder how they could have got a car in there. Wow you all have great memories, Ron & Greta Blower did live at no26 with their 4 children Jacqueline, Teresa,Thomas & Mandy. Sadly Ron & Greta are no longer with us, Dad was from Norwich & Mum from Cambridge, can’t believe anyone would remember that!! The cottages were a great place to play, i remember bonfire nights too. someone put a cast-iron bath on the bonfire and the next morning i burnt both hand on it, haha no health and safety then? And cooking baked potatoes in the fire. loved going to manorway school, going over the bridge and getting the bus, but i must only of been 5/6 years old. I also remember playing with a boy next door but can’t remember his name, i think he was the grandson of the Gregorys? Clifford I must be 6 or 7 years older than you but I have no recollection of our Dads going to Darlington – I suppose it was something to do with setting up the BRSA football club. Regarding the “Bomb Crater” Mark I remember your Dad sitting quietly drinking his Bass (or was it Ben Truman?) and his pal Paddy Drum with his Guinness. I remember a few of the regulars Joe Williams, Georgie Hewitt, Colonel Harris, Bill Downward, Ginger Stowers and the doorman Alf Davies and on the occasional Saturday night your Mum belting out a fairly respectable rendition of Sally. I can still remember the house you lived in, next to the Woolleys, in Peninsula Road with the big tree in the garden, you also had a brother called Ginger a couple of younger sisters and as I recall two older brothers who were away at sea. Big families were the order of the day then with the Palmers and the Hoyles in the Dwellngs – I remember us all mixing as kids. It will be good to hear of your memories of those far off days. Cliff White, nice to hear you are still active mate, your memory is certainly in good nick. Perhaps you recall my dad, (Sandy as he was known, virtually lived in the Bomb crater) I like the list of tenants of the cottages. In fact a school mate of mine at St Chads was Peter, the adopted son of the Junipers in No 10. On a similar site on facebook, ‘Tilbury memories’ somebody told me that John Smith had sadly died last year.. I have to say that really shocked me as he was my age, nice lad and a good mate of mine at school. Hope you are well Cliff. I do believe you have missed Francis Jewel who is shown in the “St Chads 1948 thread” this site, 3rd photo down, extreme right hand, 2nd row down and on the end, he was also in the same year as myself and Jack Priest was his form master. Yes I’ve seen the photo and his name is Francis George Alexander Jewell and I’ve used his preferred name George. He is my late mother’s brother and obviously my uncle. On second thoughts I think the Blowers were from Norwich. I was just reading through this thread again and decided to try to remember all the residents during my 20 odd years at the Cottages. So here goes……. No. 1 Bill and Edna White and their sons Terry & Clifford. No. 2 Mr and Mrs Jewell and their children Evelyn, Ted & George. (My maternal grandparents). No. 3 Ida Crane and her Mother then PC Ron Gladwell and his wife. No. 4 Roland aka Ben and Nelly Ellingford and their 4? kids. No. 5 Vic and Edie Smith and their sons Derek & John. No. 6 John and Marie Carberry then Peter and Rose? Webb – who moved from No. 21. No. 8 Eddie and Mrs Jones – Edie Smiths parents. No. 9 Cecil and June Gregory and their kids. No. 10 Mr and Jesse Juniper and their son Peter. No. 11 Wally and Mary Jelly and their sons Brian & Keith. No. 12 The Downes’ then Fred and Thelma Sherwood & kids. No. 21 The Webbs who moved to No. 6 then Jumbo Distin. No. 22 The Newports and their son David and later a lodger called Tommy Wall. No. 23 The Becks with 3 daughters – Rosa, Charlotte and ? No. 24 The Challis’ and I think a son called Peter. No. 25 The Ellingfords parents of Roland at No. 4 and Malcolm at No. 31, and their other kids Alec and Tina. No. 26 Jimmy and ? Stowers and their daughter Marion then the Blowers (who came from Ipswich I think). No. 27 The Gregorys and their daughters Maureen and Josephine – also parents of Cecil at No. 9. No. 28 Jack and Kitty Grinney and their daughter Brenda. No. 29 The Chesters then Tom and Dolly Webb and their 2 sons. No. 30 The Gunners with sons Ernie and Morris. No. 31 Archie and Mary Penfold then Malcolm and Cathy Ellingford then the Moforths. No. 32 The Barends with 2 daughters Sylvia and Rosemary then the Browns. Hopefully this will jog some memories and I’m looking forward to some feedback regarding the accuracy of my diminishing memory. Your Grandfather was also known as Harry or Bill White and if you go to Sport and the Tilbury Firemans Football Team-Drivers page you’ll find him in the photograph. Tom Henson Webb! Mate!! Are you about 55 years old as of 2015? Did you go to Landsdowne school and do you recall me? For some weird reason I remember your name as clear as day, as a kid at least on at least one occasion I went round to your house in the Railway cottages and had tea, maybe more frequently, we were mates. I can’t remember whether your Mum was friends with mine or something, but I have a very vague recollection of my Mum taking me to your house, but for all I know I may have gone round to yours on my own it was the 1960’s! You then left school and moved in 69, never to be seen again, but I still remember you as my mate from school that lived in the Railway Cottages!! 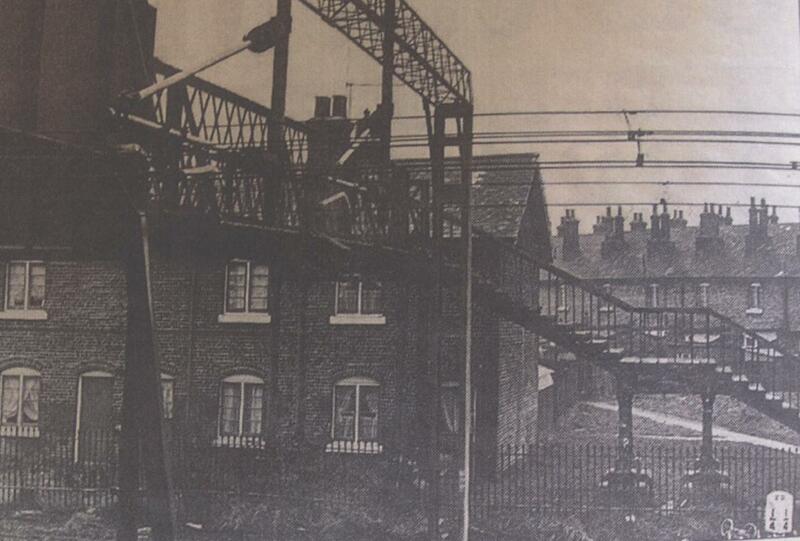 I remember as a very young boy visiting the Downwards at the cottages near the Dock Junction (between Grays and Tilbury Town) walking beside the track from the town station and having to move down the bank when a train came along…very happy days. Health and safety would have a field day now. 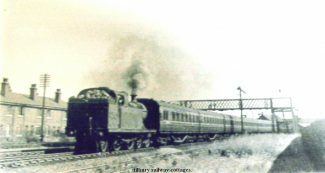 Also used to go to allotments just along the track from Town station towards the cottages but the opposite side of the track with my Grandfather. 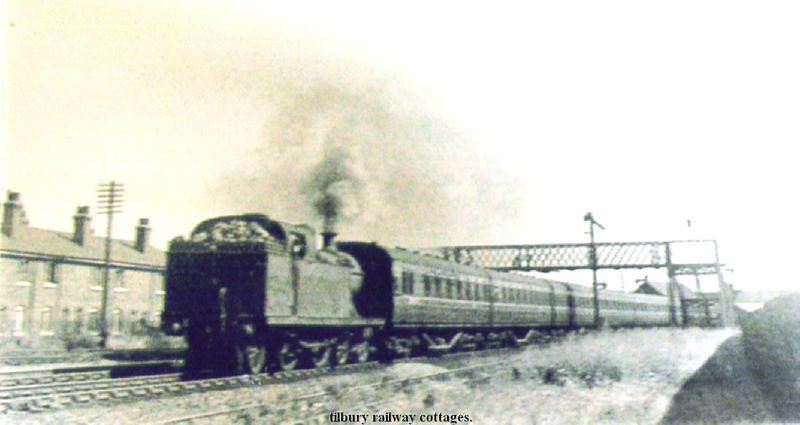 His allotment was right alongside the outer home signal going in Grays direction so l was in heaven watching the steam Locomotives whilst Grandfather (Felton) worked on his ground. All the allotments were always kept in pristine condition. I have been trying to find details regarding as my father was born at 2 Railway Cottages, Chadwell st Mary in August 1895 His father Arthur Batcheldor was a gas smeller and was working at Whitechapel, London in1899 and took an overdose of gas and died. His wife Harriet married later andgot married in 1901 then moved to Northfleet, Kent. Does anybody remember the other Railway Cottages that were about a third to halfway between Tilbury Town and Grays station? I think there were two of them and the Downwards lived in one before they moved to Dock Road just under the Hairpin Bridge next to Skinners. They must have moved there in 1957-8. Hi Percy, or should I say Alan Dalton. My brother Robert Downes was friends with you when we lived at number 12. If you read my memoirs on the site, I do mention that One of the Women was killed on the Hairpin Bridge. I didn`t mention who, in case it upset anyone. Robert would like to get in touch with you. The Dalton’s lived at no.7 and the children’s maternal grandparents, the Jewell’s, lived at no.2. The Dalton’s moved from Dwellings in St. Andrews Rd in 1949 and remained in the Railway Cottages until 1970 when they moved to 3 Marisco Close in Chadwell St Mary. The mother of the five Dalton children (Pat, Alan aka Percy, Brian aka Dinky, Brenda and Margaret) was killed when an articulated lorry turned over at the top of the Hairpin bridge in August 1959. I remember visiting Brenda Dalton in Railway Cottages when we were both at Manorway School. In reply to Ivor Foster`s comment made on 16.7.2013. I am Rod (Roderick) Downes Robert is my younger brother. We all live up in Chelmsford now and have done for a number of years. Robert was very friendly with Alan Dalton of the cottages. does anyone remember a young girl called April who i think lived in these in the 1960s i think her brother died in one of the storm drains near tilbury fort. im ivor foster and i think i remember you as robert downes from railway cottages. also marian stowers lived there. also we went to manorway school. but i think you moved away before we went to senior school. I have a group school photo of us at manor way school,we were there from 1953-1959.
hello mark. your comments on the railway cottages are wonderful and I thank you, but i am another john smith, not the one you know, who lives in tilbury (born there, left and came back in the eightes). In answer to your question about the old hairpin bridge i do have one or two photos and will put them on the web later for you. I’ve just re-read some of the above letters and one form Elaine back in April is about my mate John Smiths family. Remember them well..my first foreign holiday with them in Sept 1970..Lloret de Mar. I recall two weeks costing the princely sum of £45 ! As I was born and raised in nearby Peninsula Road, I’m very familiar with the above photos, bring back lots of memories (all happy)i’m wondering if the John Smith that they’re attributed to, is the same one who lived there and went to St Chads school during the 60’s with me. Happy days indeed. Its great to see these old pictures. I am Tom & Dolly Webb’s son and we lived at 29 until 1969. There were origionally four buildings on the site. The wasteland at the North end (a kids paradise), was referred to as “the bombed buildings” and I remember uncovering an old tiled floor when we were digging for buried treasure. The South end was called “The long grass” and there was a concrete base, so I think this must have been sheds or something previously. That picture of the bridge brings back some memories too as it was amazing how as kids we had strict rules about going on it. Up to that first landing was fine as we used that as our fort for shooting baddies from bt going to the top was being brave and you never went to the other end except when we helped Ted the milkman hump the milk over. Happy days! My sister and her husband..Pat & Bernard Coote, shared a house there with Tommy & Dolly Webb in late 50’s early sixties. Both Bernard and Tommy worked on the railways at the time. I remember visiting them and having to cross over on the little pedestrian bridge. Can anyone remember Ron & Greta Blower liver with there four children at no26? Vic and Edie Smith lived at the cottages with there two son’s Derek and John . I remember the Dalton’s living there Percy Dalton and his brother Dinky Dalton as we used to call them think they had a sister named Maggie.